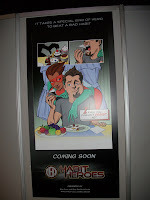 In the past week a new exhibit focusing on healthy options opened inside Innoventions. 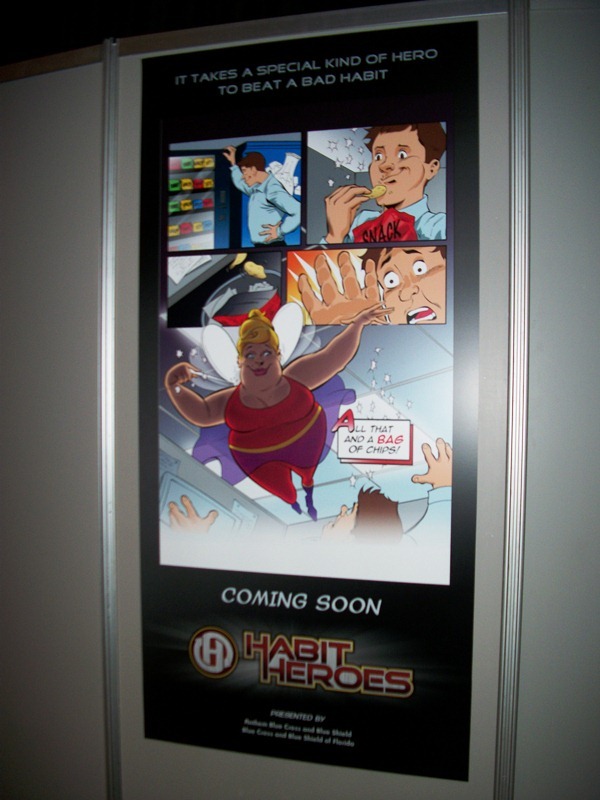 From Florida Blue and Anthem Cross Blue Shield, Habit Heroes invites the young and old to get active and adopt healthy lifestyle routines. 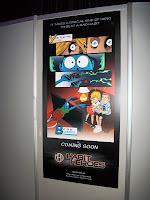 The comic book stylings used to facilitate the story and activities are bright and definitely project a sense of action. 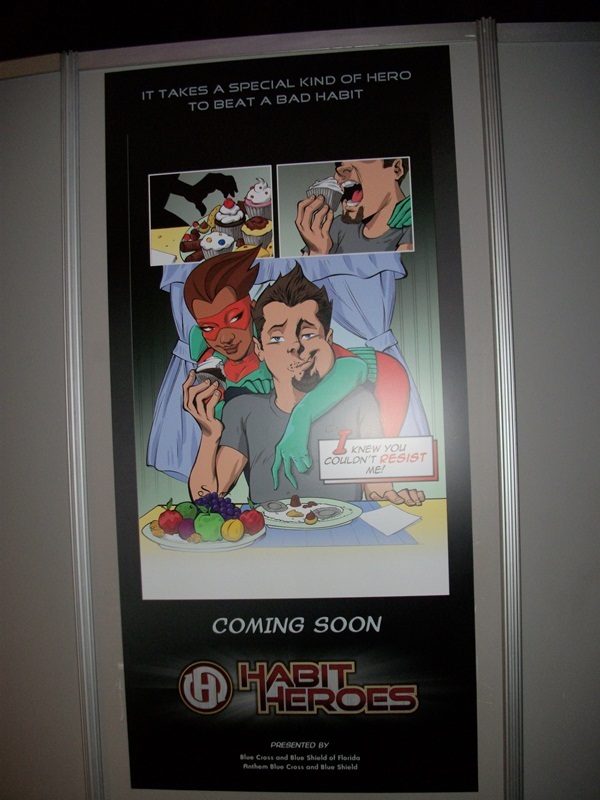 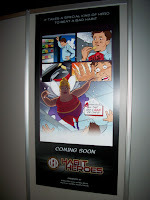 Prior to the attraction’s opening, posters of the dastardly villains, who want nothing more than for kids to do nothing, used the same comic book method of storytelling to tease out what Habit Heroes would be all about. 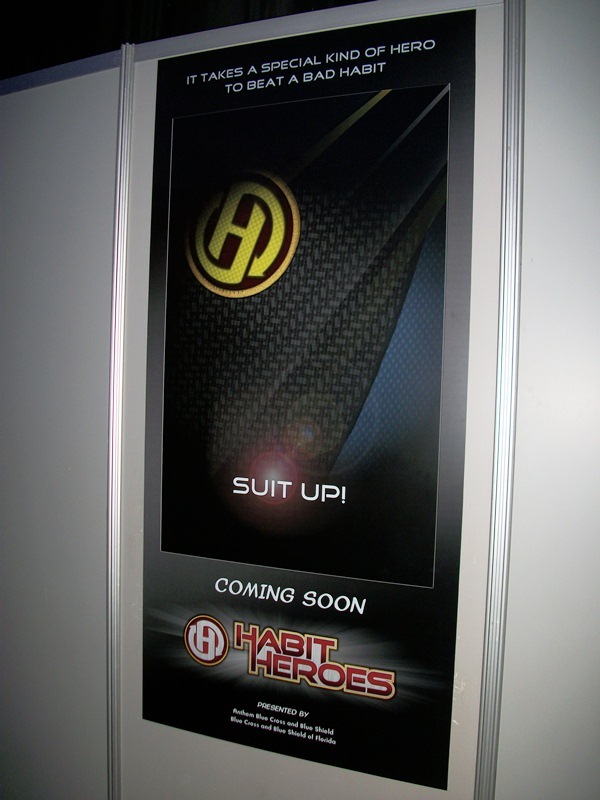 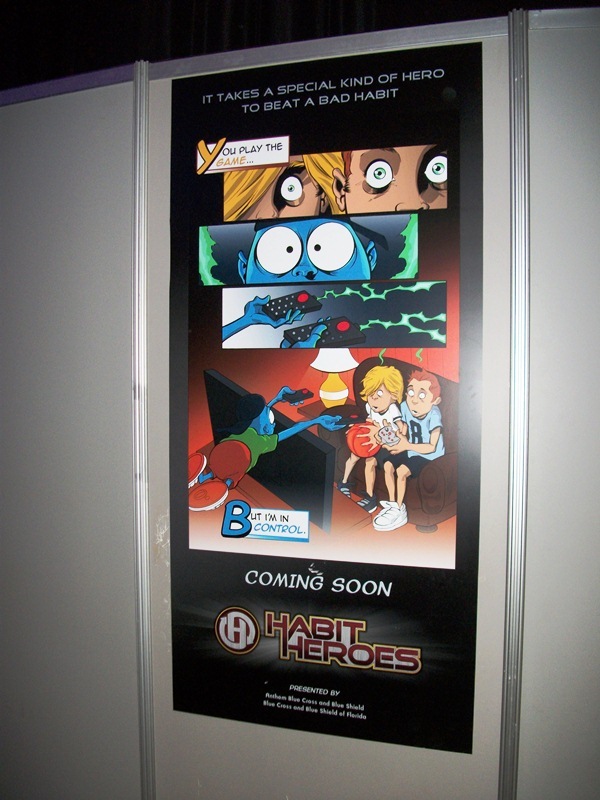 Let’s examine those posters and potential baddies today, a second chance to look at Habit Heroes previews for those who didn’t get a chance to see them and a look back at what we thought might have been for those who have had a chance to partake in the super-healthy-hero antics!